Home » Law Life » Trainer Slept In = Upper Body Workout! Trainer Slept In = Upper Body Workout! This morning I woke up with this doozy in my e-mail inbox from World Market, and I just. about. died. I apologize to anyone who wears one of these hats but I immediately sent e-mails to some friends joking about them. Perhaps I just don’t have the right personality to pull them off, or maybe they’re just not the right career choice for a law student…. As a 23 year old +, would you wear an animal hat on a daily basis? So yesterday I was supposed to meet my trainer at 8am. She’s usually there before our session so when 8:10 rolled around, I knew she’d forgotten. No big deal, because now I have a great upper body workout for you all! You can also check out my HIIT elliptical workout and my leg workout! *A superset means that I go back and forth between the moves, with no resting in between. Saves time and keeps your heart-rate up! Then I hopped on the elliptical for another 10 minutes, and then walked at an incline on the treadmill for 10 minutes as well! I had some extra time since I had gotten to the gym early to do the first 15 minutes on the elliptical before my workout with my trainer! 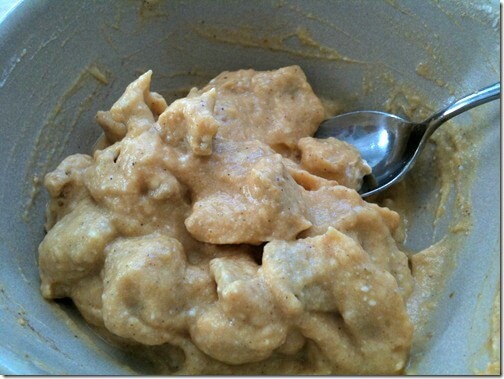 Afterwards, I made some Pumpkin Pie Oats… per usual. Today, however, I mixed it up with the pumpkin! 1/2 cup cereal to top! This is just a basic mash, since I was testing it out, but you could add anything into this! Various types of cereal, granola, raisins, nuts, protein powder, the options are endless! I can’t wait use up my GIANT CANS of pumpkin trying it out! Now I’m off to a doctors appointment, gotta run! 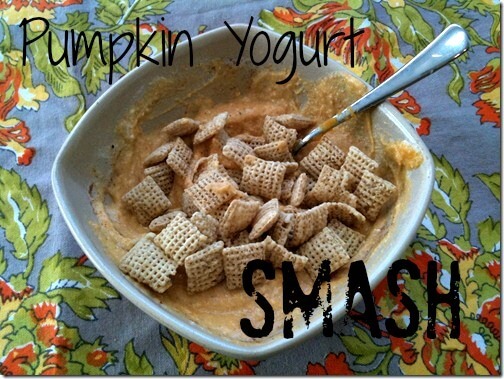 What is your favorite way to eat pumpkin? Or have you not tried it yet? Pumpkin Bread and HIIT Running!